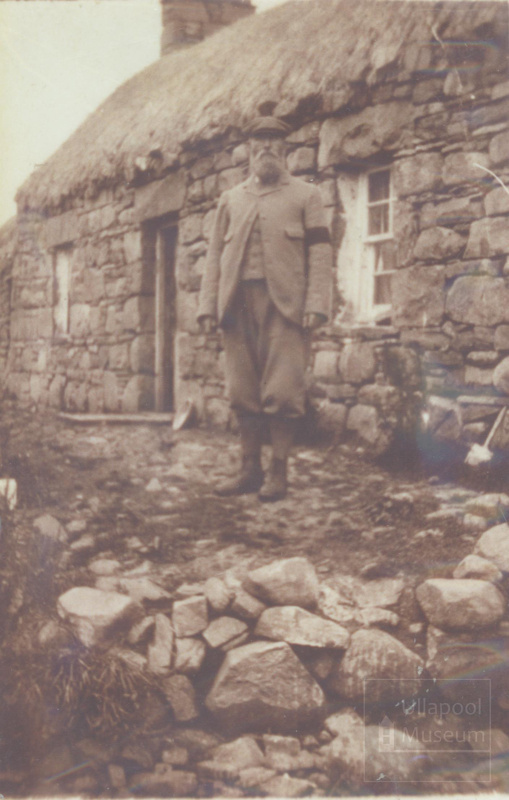 About this objectGeorge MacLeod outside his croft house. Mr Macleod's son was called Roderick and was killed by a lion in East Africa. The family tree is in the ULM genealogy section. Father was George Macleod, mother was Bella. Two other children were not married. Source: Camera Recalls 74.